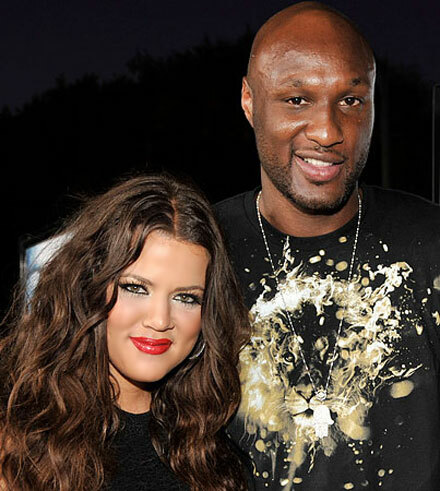 Kim Kardashian’s younger sis Khloe Kardashian is getting married this coming Sunday after dating her LA Lakers BF Lamar Odom for just one month! The quickie wedding has been planned for a while, Khloe said. The couple have invited some 250 guests to a private late afternoon ceremony that will be held at the Bel-Air residence of music mogul Irving Azoff, E! News reported exclusively. Khloe’s sisters, Kim Kardashian and 6-months-pregnant Kourtney Kardashian, step-brother Brody Jenner, Lamar’s LA Lakers teammates, and several E! personalities, like Ryan Seacrest and Kathie Lee Gifford are among the guests. Khloe and Lamar have already come up with the wedding gifts list and even made it public online for all would-be guests. Kourtney is the first to get pregnant, Khloe is the first to get married, what about you Kim? Actually, Kim was the first to get married. She got a divorce though.